The heavy-duty covers of these spiral-bound books are printed in full-color on both sides. Whether given away at a specific “Autograph Night” or “Mascot Birthday Party,” fans are consistently bringing them back to games for autographs. 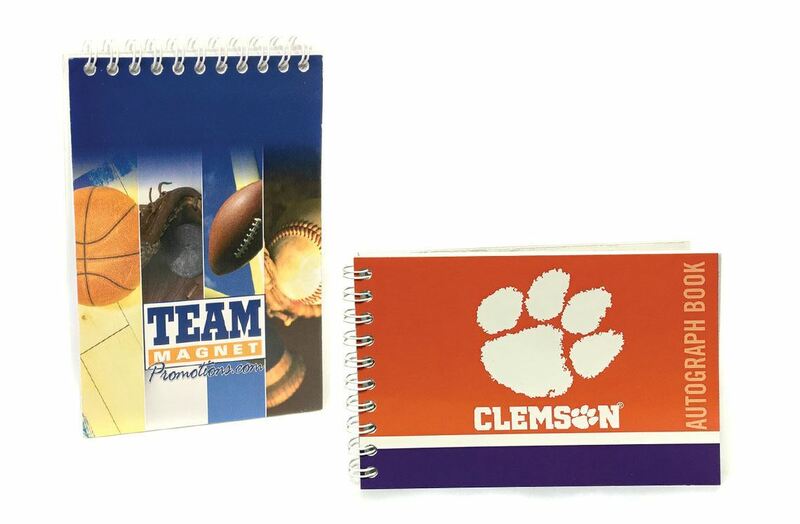 New this season is another idea for this product: “Gratitude Journals” for softer promotion events like Mother’s Day or Scout Nights. Other Details Full color, spiral-bound, made in the U.S.A.